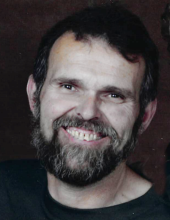 Chris Paulsen, age 65, passed away peacefully surrounded by family January 25, 2019 at Mercy Medical Center in Des Moines. Visitation will be 4 pm until 7 pm Friday, February 1, 2019 at Cornerstone Church. Funeral services will be at 10:30 a.m. Saturday, February 2, 2019 at Cornerstone Church, with a luncheon following the service. Burial will be in the Ames Municipal Cemetery. Christopher Allen Paulsen was born in Germany on March 23, 1953, he was adopted by Arnold and Mary Lou (Tannus) Paulsen. Chris attended the Ames Community Schools and graduated from Ames High School in 1971. He married Jene Engelman-Larson on January 12, 1980 at A-Line Acres (His parents home). Chris drove for Conley’s Trucking eighteen years before he and Jene purchased the company in 1994. Chris loved the racing community and owned several stock cars over the years. He would also take trips to NASCAR events with friends and family where he would take in the smell of racing fuel and the roar of the cars. Chris always looked forward to traveling with his family. A staple for decades was his annual family vacations to Cancun where his parents, siblings and immediate family would create and enjoy many wonderful memories. Chris provided well for his family as he poured a lot of time and effort into his business, Conley’s Trucking. You could always expect him to be the first one at the shop and the last one to leave. Above all though was his love for family including his loving wife of 39 years, Jene, their three sons and nine grandchildren. His parents precede Chris in death. He is survived by his loving wife Jene Paulsen of Ames; three sons Jeff (Carrie), Dan (Kelly) and Jon (Patti); four siblings Larry (Jeanne), Rick (Roberta), Lisa and Karin (Les); nine grandchildren Kellie, Josh, Jaclyn, Abby, Andrew, Emily, Ariana, Adam, and Joey; and many nieces and nephews. To send flowers or a remembrance gift to the family of Chris Paulsen, please visit our Tribute Store. "Email Address" would like to share the life celebration of Chris Paulsen. Click on the "link" to go to share a favorite memory or leave a condolence message for the family.